The 3636L EH Mini I Speed Flash Head is a compact flash head designed to work with all Hensel pack systems including Porty, Nova, and Tria. Since the EH Mini I's head cable is removable, all you need to do is swap out the cable and its plug to match the pack you're using. This version comes with a power cable with a long plug for use with Nova DL and Tria packs. The 3636L EH Mini I is called a "speed head" in recognition of its ultra quick flash durations, as fast as 1/1750 sec at full power, depending on the pack you use. Recycle time is quick, too, and the head is fan-cooled to protect circuitry when handling up to 3000Ws during busy photo sessions. Convenience features include a 650W modeling lamp for previewing your lighting effects and the previously mentioned detachable head cable. 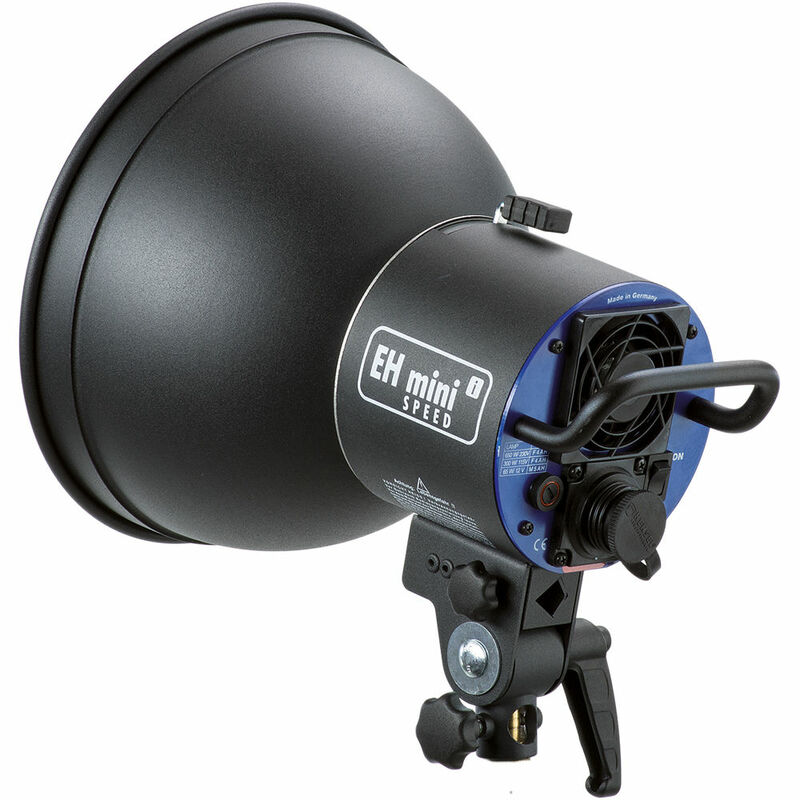 The EH Mini comes with a 16' cable, but it can be swapped out for a 23' or 33' version for extra distance from the subject. Other features include an all-metal construction along with a built-in handle. The EH Mini I retains full compatibility with the wide-ranging selection of softboxes, reflectors, and other light shapers as well as replacement parts such as flashtubes, modeling lamps, and glass domes.